A job description is a necessary part of the employment agreement and required for the recruitment process. At it's most basic it defines what is expected of the employee and provides a basis by which to measure performance by management. Many managers and business owners over complicate the issue of producing job or position descriptions. The ideal job description should only contain between ten and fifteen key task points. Anything more tends to evolve the document into an operational manual rather than a job description. Operational manuals or procedures are commonplace, but job descriptions should refer to them rather than replacing them. 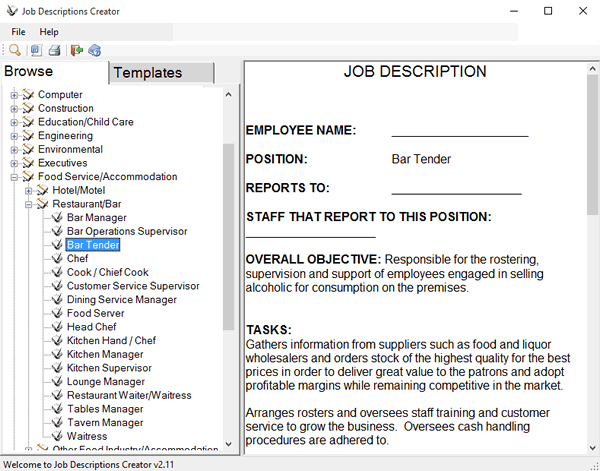 Our Job Descriptions Creator software contains over 600 positions covering most major industries with appropriate tasks and responsibilities listed. 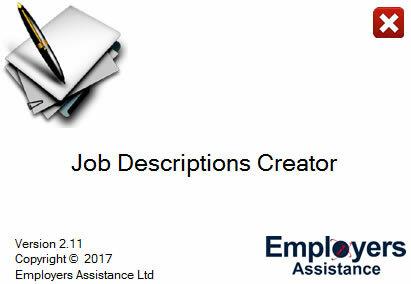 Save yourself hours of time and stress by getting a head start using our job description templates. 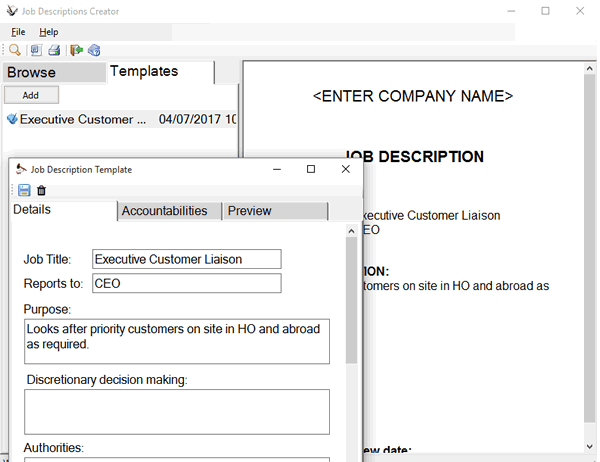 Included is a template builder for you to construct your own job descriptions using our recommended framework. Download job descriptions to MS Word and use them in your Employment Agreements and Performance Reviews. This is PC based software and requires Windows XP or higher. Windows 10 compatible. Buy online, get your registration code immediately and get to work instantly. If your PC does not have this installed our software will automatically download it for you. "..Knowing Employers Assistance is only a phone call away is the backup I need to let me get on with Business.."
"..Immediate Advice and Superb Products. The words I use to describe EAL are excellent, accessible, affordable and there when you want them.."
"..Employers Assistance Ltd have excellent products. Easy to use, up to date and cost effective.."